Saint Ann Church was originally called Saint Peter’s Mission and was located on the second floor of a store at the corner of 49th and Charlotte Avenue. The name of Saint Peter remained until the parish moved to its present location at 51st and Charlotte Avenues in 1921. The parish, with the help of the Diocese of Nashville, purchased a residence known as the Thomasson residence. The first school year began in September, 1921; the school opened with forty-eight students. The school was staffed by the Sisters of Mercy and was located on the second floor of the old Thomasson residence, with the church located on the first floor. 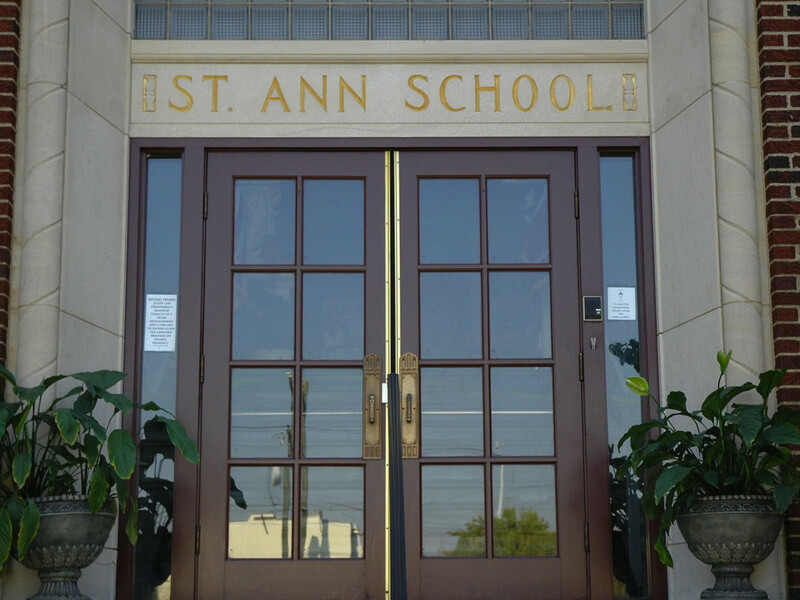 Saint Ann is the oldest diocesan school in the Diocese of Nashville. In 1947 a new school was built. The school has always had grades 1 through 8 and in 1979 a kindergarten was added. The Sisters of Mercy taught in the school from 1921 until 1992. A new church was built in 1939 to accommodate a growing parish. A new rectory was built in 1947. Saint Ann’s present church was built in 1960. Saint Ann parish purchased neighborhood homes that were later torn down and used as playgrounds and school fields for the growing school. A school gymnasium, Neidert Hall, was built in 1965. The church had a major renovation in 1993 and the school has had major renovation projects over the last eight years. Some of the school projects have involved the replacement of windows, addition of central heat and air conditioning systems, new blackboards, new ceilings, lockers for the middle grades, and carpeting in each classroom. In 1998 the parish added a Parish Life Center. This center is used by the parish and the school for music, art, and various other school activities. One of the things unique to Saint Ann School is that there are many third generation children attending. The school year 2001-2002 marked the first of a fourth generation student. Many grandparents of students attend school functions on the same grounds where they themselves were students. 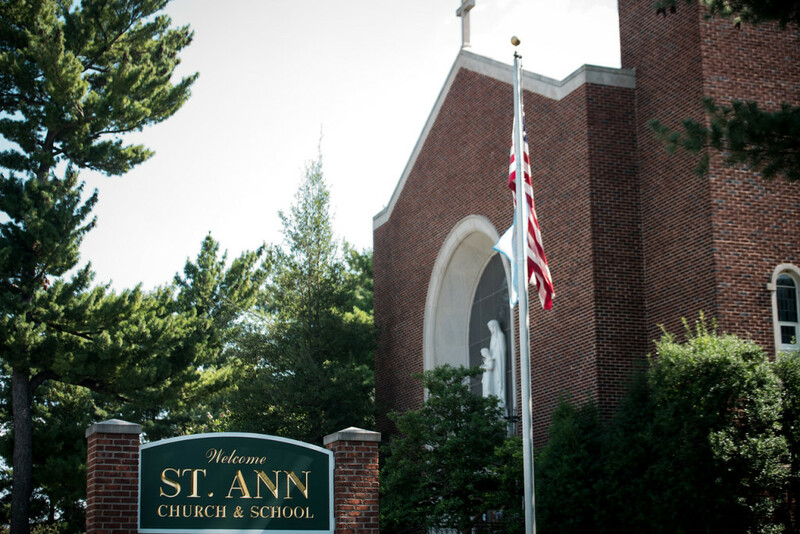 There are many Saint Ann alumni that send their children to Saint Ann. A high percentage of its graduates attend Father Ryan High School, Pope John Paul II, and Saint Cecilia Academy.